We have spoken to a source close to Carla Murino, Eddie’s ex-girlfriend, and have learned that is not the case at all. Alicia was right, someone in her circle was trying to “bring her down,” but it wasn’t Carla Murino and Renee Graziano. On the latest episode of Mob Wives: New Blood, “Eat Worms B—H,” Big Ang (Angela Raiola) quickly sided with Alicia DiMichele, and encouraged her war against Renee. And, now we know why. According to our source, Alicia had every reason to be paranoid, someone close to her was sleeping with her husband and “trying to bring her down,” but it wasn’t Carla and Renee. It was actually Big Ang’s daughter, Racquel Donofrio (of Miami Monkey). Loyalty is a serious matter in the Mob world, but so is family. Big Ang threw Renee and Carla under the bus, to protect her own daughter Racquel, and her discrepancies. 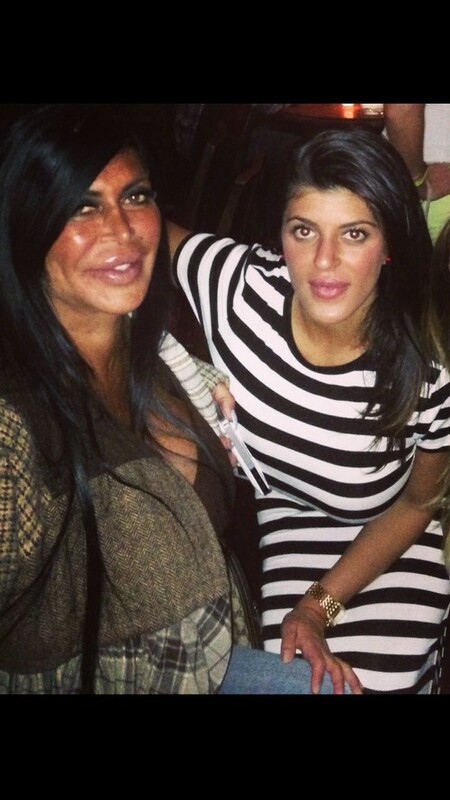 Do you think Big Ang did the right thing by letting Renee and Carla take the fall? Or, should she have come clean to her “friend” Alicia and confessed that her own daughter was the one sleeping with Eddie?